This pattern is my original design and is for sale for personal use. These cable and seed stitch fingerless mitts work up quickly with less than one skein of bulky yarn. This is a companion pattern to my Cabled Neck Warmer. 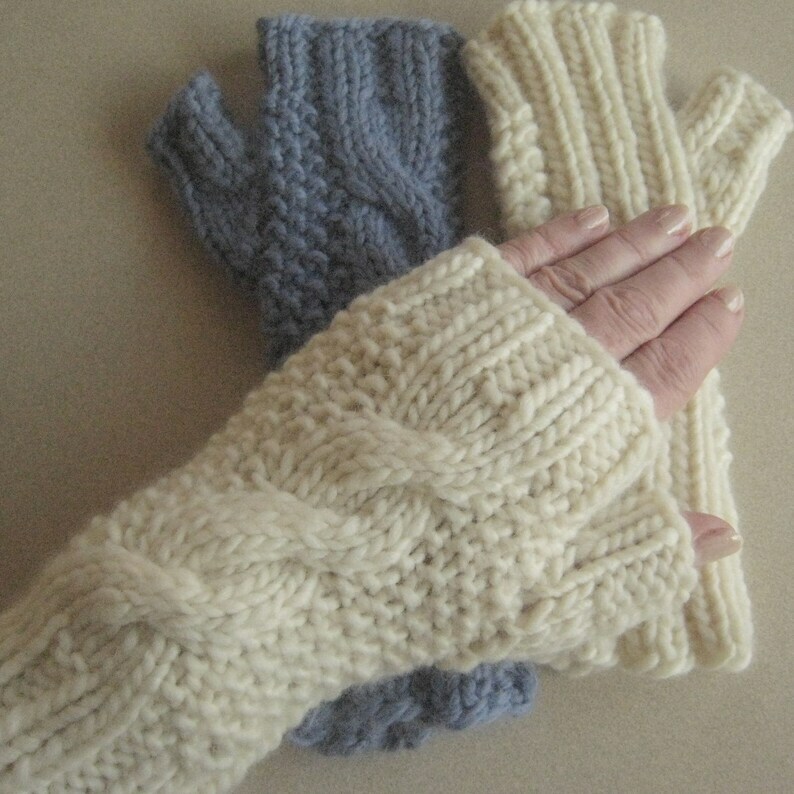 One size fits most; the finished mitts are approximately 8" long. Shown knit in Plymouth Baby Alpaca Grande (blue mitt) and Cleckheaton Merino Spun (white mitts). You may use another bulky single ply or loosely plied yarn such as Kramer Mauch Chunky. The pattern is in PDF form on three pages. You will be able to download your pattern instantly after purchase. Free technical support on the pattern is available via e-mail.